The answer seemed obvious. By helping the consumer to achieve their objective, we the brand, by default achieve ours. 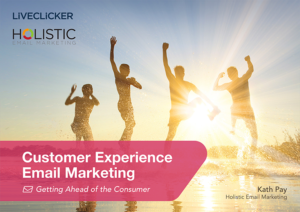 So we teamed up with Liveclicker and conducted a study where we established how 82 UK Travel and Retail brands fare on the three pillars of Customer Experience Email Marketing: helpful content, personalisation, and customer-focus. We also wanted to learn whether higher CX Email Marketing scores correlated with stronger reader engagement and to share examples of emails that exemplify CX Email Marketing. 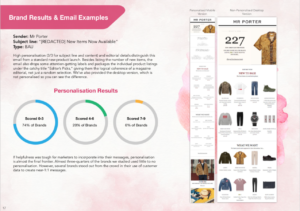 To read this valuable Customer Experience Email Marketing Report, please share some details with us and we will send you a link to download the report.